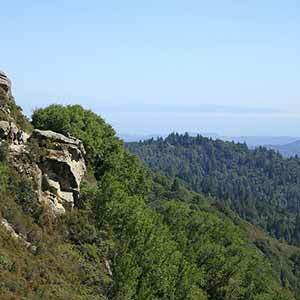 This is one of Big Basin’s more enjoyable half-day redwood hikes. 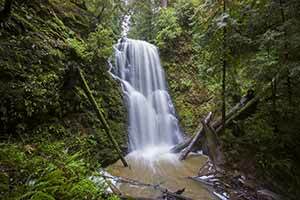 The route, which is almost entirely under old-growth redwoods, includes a stop at tiny Sempervirens Falls, a stroll up Slippery Rock, and a visit to the Maddock Cabin site. 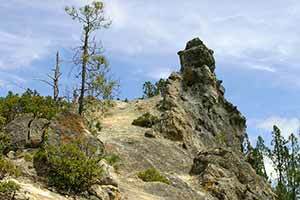 Although the hike isn’t all that hilly, the last mile of the Sequoia Trail features an interesting descent into a scenic redwood-filled ravine. This used to be a pretty obscure loop, but it’s become fairly popular. 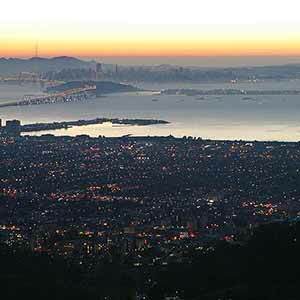 At peak times, expect to see a group of hikers every 3–5 minutes on this loop. 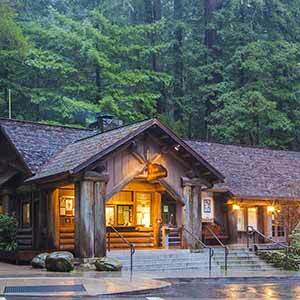 Starting at park headquarters, walk south on the sidewalk past the parking spaces until you see the Sequoia Trail to your left. 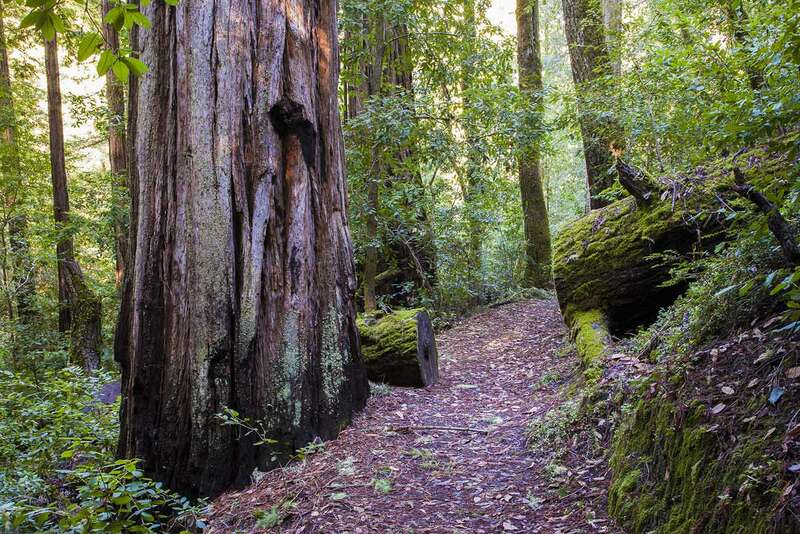 The hike gets off to a great start as the trail climbs briefly through an impressive group of redwoods just behind park headquarters, then curves through one of Big Basin’s most scenic old-growth groves. 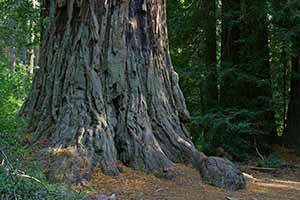 The large, stately trees have a great variety of textures and colors. 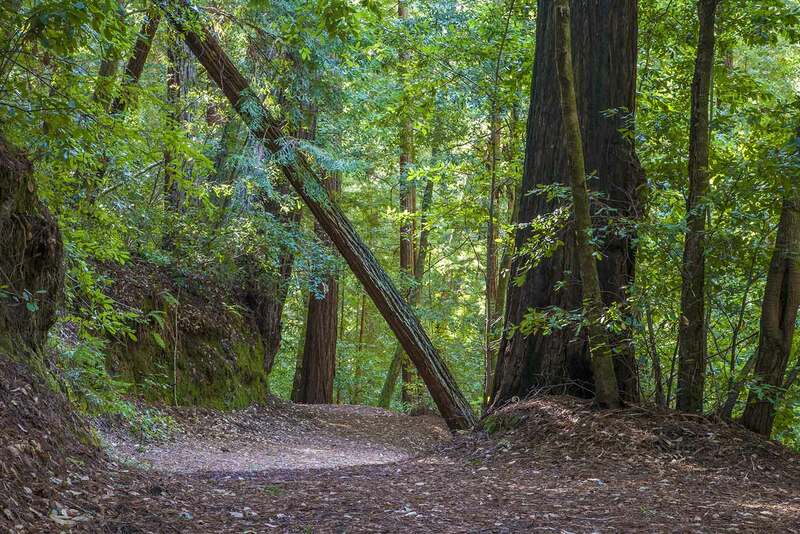 The grove is open, allowing sunlight to stream in and providing glimpses of a group of magnificent redwoods about a hundred yards away, rising arrow-straight toward the sky. 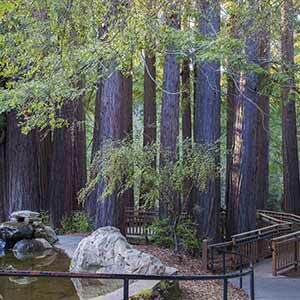 This top-notch redwood scenery goes on for about a quarter mile. 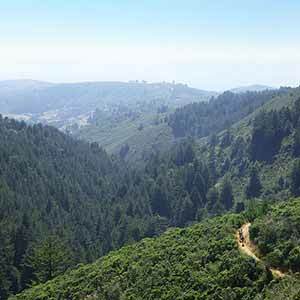 After you pass a spur trail to Jay Camp, the redwoods abruptly get smaller and the forest gets darker and denser, with a thick understory of huckleberry and tanoak. Turn right at the Bob Kirsch trail. Across Lodge Road, the trail crosses an extravagant bridge and then joins the Shadowbrook Trail. 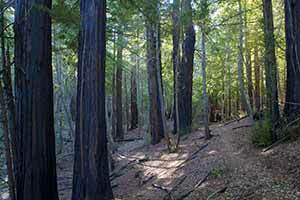 The trail meanders alongside a creek, within a gully filled with mid-sized redwoods and a very dense huckleberry and tanoak understory. After passing a large footbridge to Huckleberry Camp, the trail turns into a dirt road that, somewhat disconcertingly, is studded every hundred yards or so with manhole covers. 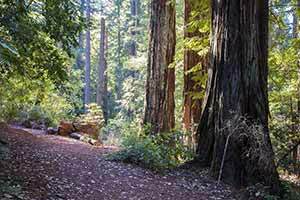 The road climbs through a ravine, eventually leaving the redwoods and leveling out near the entrance to Sky Meadow Group Camp. 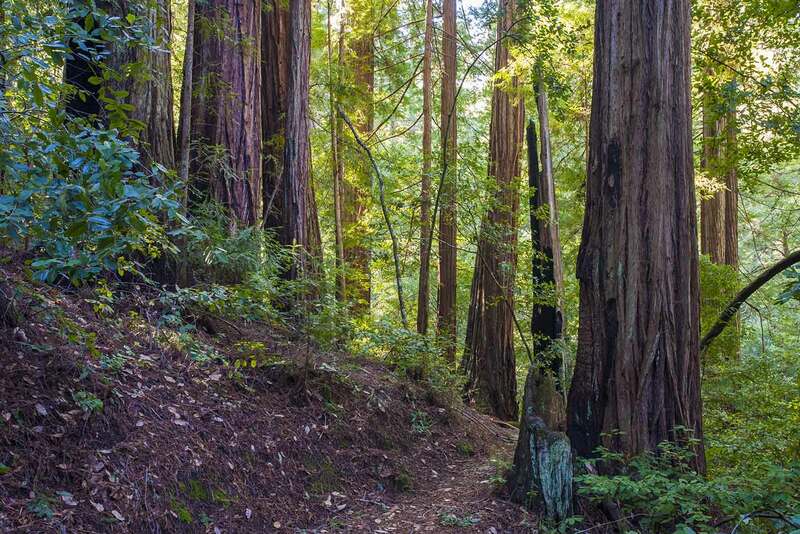 After passing the entrance to the group camp, the trail re-enters the redwoods, descending into a little glen with a grove of very large trees and no ground cover. Crossing Lodge Road, the trail reaches a large clearing where an exposed rock face cascades down a hill. This is Slippery Rock. 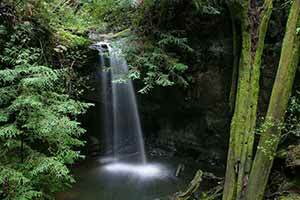 If you’d like to see Sempervirens Falls, continue straight for a few yards and take the short spur trail to your left. Otherwise, turn right and make your way up the rock. There isn’t really a trail here, so just follow the exposed strip of rock, which really is slippery: during the rainy season a little water flows down it and encourages the growth of slimy algae. Just past the top of Slippery Rock the trail reaches a ridge, crosses Big Basin Road, and starts to descend, contouring along a steep hillside. The woods are a lot more scenic on this side of the ridge, making this one of the best parts of the hike. The area is less developed and feels more wild. 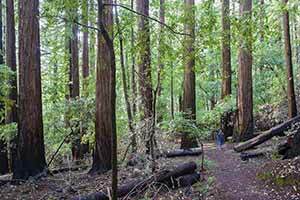 The redwoods are much taller and straighter; there’s one especially notable monster redwood just off the trail to your right. 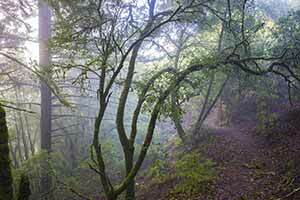 The huckleberry understory of the past miles gives way to a sparse tanoak understory that gets denser as you descend. Soon the trail curves to the right and leaves the ravine, ending up high above a much larger canyon with the burbling of Opal Creek far below. 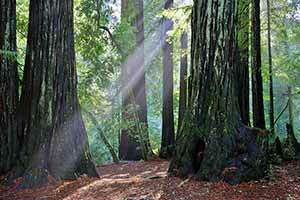 The redwoods disappear for a stretch but then reappear as you approach the creek. 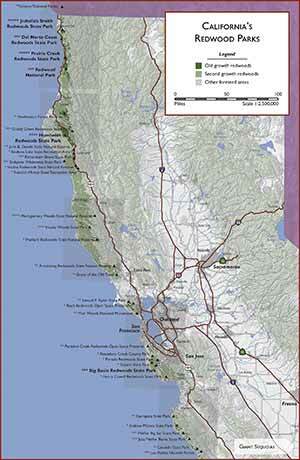 The Sequoia Trail ends at North Escape Road. Following the instructions on a little sign, turn right and cross an auto bridge over cloudy Opal Creek, then immediately turn left onto the Skyline-to-the-Sea Trail. The next mile isn’t all that interesting. 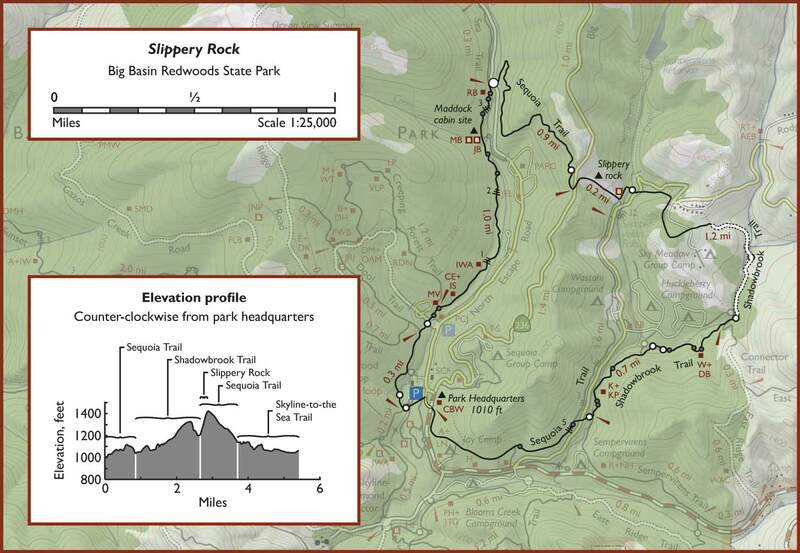 The trail climbs a little, then descends to the Maddock Cabin site. 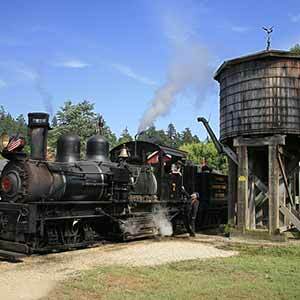 The cabin was razed in the 1950s so there really isn’t anything to see here except for an interpretive sign. 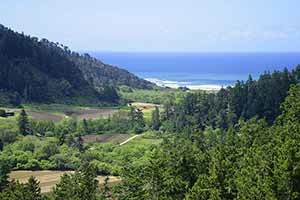 Although there aren’t any obvious signs of logging, there aren’t any big or even medium redwoods for the next half-mile. 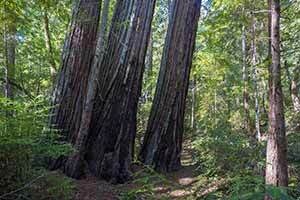 Further from the cabin site, the redwoods gradually re-appear and get larger, but don’t reach their full size until after the Gazos Creek Road crossing. 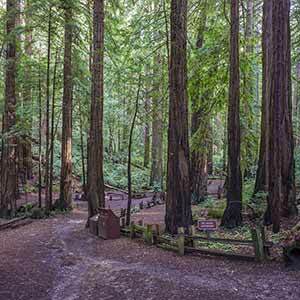 The hike ends with a stroll among the big redwoods of the park headquarters area. 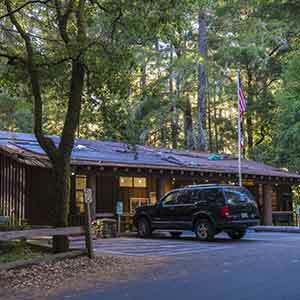 Follow Opal Creek to the second footbridge, then turn left and walk past the Redwood Nature Loop to return to the parking lot. 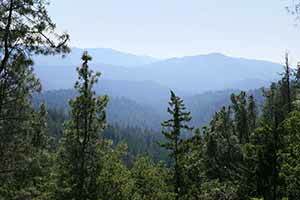 BigBasin.org has descriptions of the Sequoia and Shadowbrook trails.